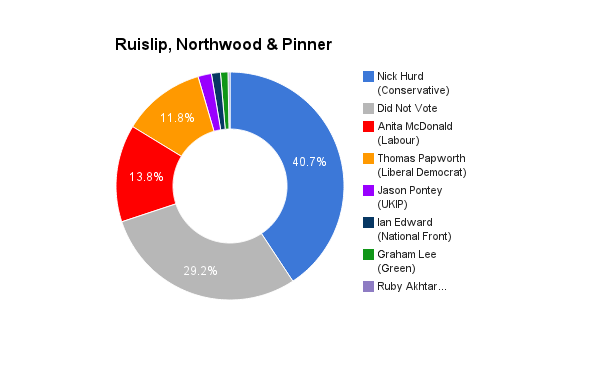 Ruislip, Northwood & Pinner is a constituency in Greater London. The seat was created in its current form in 2010. The current member of parliament is the Conservative Party’s Nick Hurd who has represented the constituents since its creation.